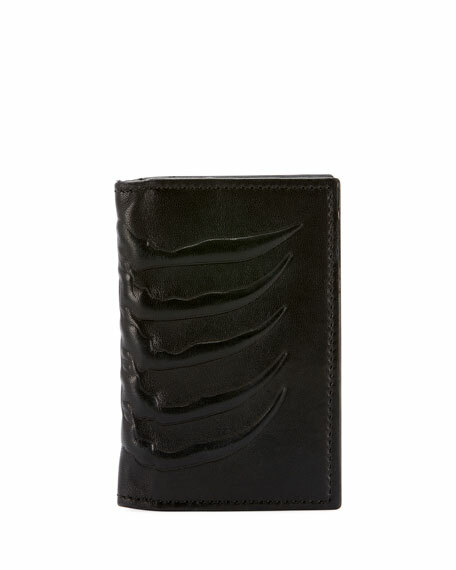 Alexander McQueen bi-fold wallet in rib cage embossed leather. 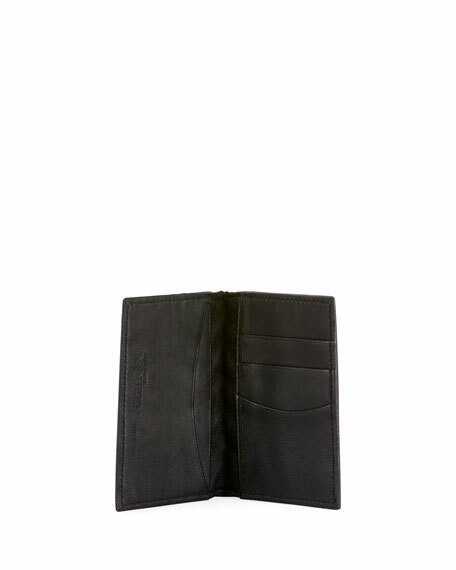 Three card slots, three receipt pockets. For in-store inquiries, use sku #2665382.